Jonathan Newell looks at the technology behind the “flying” boats competing in this year’s America’s Cup yacht racing event. Despite not having many participants, with just eight yachts taking part in total, the America’s Cup is one of the most competitive and technologically challenging international sports. With entry fees alone measuring in the millions of dollars, there’s a lot at stake and high-rolling sponsors are difficult to please so getting the technology exactly right for gaining a competitive edge over the other seven participants is of crucial importance. 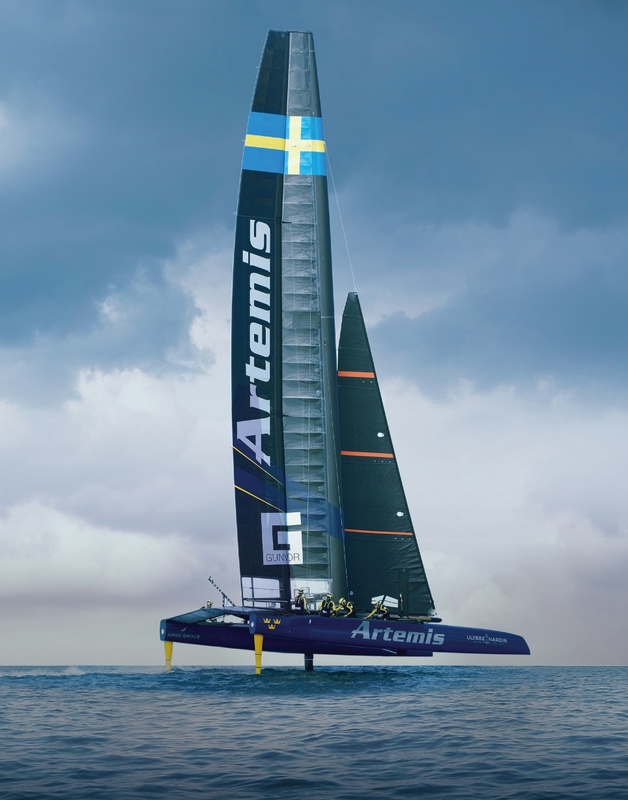 To understand more about what’s under the hood of these surface-skimming technology power-houses, I spoke to Altair, the design optimisation and simulation company that works in partnership with the Royal Swedish Yacht Club’s challenger for the America’s Cup, Artemis Racing. According to Altair, innovations in design and technology have essentially transformed the traditional concept of sailing vessels into the technical domain of aeroplanes. With sports sailing becoming one of the fastest and most dangerous competitions on earth, fractional changes in design can easily translate into knots of difference on the water, which could mean the difference between winning and losing, as well as between remaining safe and succumbing to disaster. Speaking about this latest challenge, Altair’s Engineering Manager, David Durocher compared state-of-the-art sailing to flying a plane. “This is not traditional sailing, it is flying. They no longer have a sailing crew but rather pilots,” he said. At the heart of the innovations being deployed in the latest round of the historic yacht race is the “daggerboard”. A daggerboard is a kind of foil, a device well known in sailing for using hydrodynamic forces to lift the hull higher in the water to reduce the surface contact area and minimise drag. America’s cup teams have perfected the art of foiling to such an extent that the daggerboards are capable of lifting the entire hull above the surface of the water so the vessel if effectively flying with the minimum possible drag resulting from contact with the water. “The goal is to minimise the submerged profile of the boat, since less drag means higher speeds. The daggerboard is a movable appendage to the hull, which can be stowed out of the water for manoeuvring or deployed beneath the water surface,” explained Durocher. According to Brett Ellis, the lead daggerboard engineer at Artemis Racing, the design limits are being pushing all the time to maintain the advantage required to win the prestigious race. To do this requires the ability to model the behaviour of the board and to simulate different conditions. “We’re able to build a structural model of the daggerboard and a fluid model of the water and run 10, 100 or even 1000 different design ideas on it,” Durocher said. Like all highly competitive sports with rich rewards, there has to be a rule book and the concept of the foil itself emerged in the past as the result of engineers pushing against the boundaries imposed by the rules. It’s a fine line between exploring the limits and crossing the line. I asked Altair to what extent these limits are pushed. “Engineers love solving problems and we’re always formulating a design optimisation problem with some sort of limits or bounds on the parameters studied,” commented Durocher. He believes the rules should be viewed as controlling the edge of the design space and in many cases, the best answers push the design parameters right up against their bounds. “All the teams are going to push against these edges and try to find clever and innovative solutions sometimes well within the rules that aren’t necessarily obvious in the beginning, such as the daggerboard extensions, which are being used by New Zealand. I think you’ll always see adjustments and additions to the rules to try to keep things reasonable and focused on pushing innovation, materials, design, on the water tactics and boat handling skills,” he concluded. I asked if he thought the rulebook would change in the future to accommodate further advances in such technology or, on the contrary, to constrain developments to keep the sport accessible to lower budget competitors. “We want more teams competing and a broadening of public interest,” he said. This is part of the direction today and a big reason why the rule book was modified to reduce vessel dimensions from 72′ to 50′ boats. The result is lower expected cost. “The 36th America’s Cup will hopefully have the same basic rules and America’s Cup 35 boats may be available for new teams as some existing teams decide to rebuild, thereby reducing the minimum budget needed in order to compete,” Durocher explained. Technology arms race or sport? With so much innovation going into design, materials and engineering, it can be easily forgotten that it is athletes that are at the heart of the America’s cup and that it is a human challenge as much as a technological one. Engineering skills have played an enormous role in yacht racing since the concept of foiling was introduced in Italy at the end of the 19th century. The America’s Cup 35 boats are state-of-the-art engineering masterpieces of marine engineering and are a credit to many carefully planned design iterations in engineering, fabrication, high-end materials and the latest generation of simulation tools to evaluate and optimise designs on the computer like Altair’s OptiStruct and AcuSolve. But none of this would be any use at all without the cooperation between the engineers and the crew of the boat. Balanced on the thin blades of daggerblades, hurtling across the surface of the ocean at a staggering 40-50 knots, the crew needs both speed and control to achieve plain sailing on their route to achieving the prestige of being the team to take the cup home. The 35th America’s Cup challenge took place in June this year with qualifying rounds starting in May and lasting until 12th June. The cup challenge took place in late June with nine races being held between the final two yachts from 17th to 27th June. The cup challenge takes place between a defender and a challenger. The defender has automatic right to race in the final whilst the defender is the yacht that beat off the other contenders in the qualifying rounds. After having beaten Artemis Racing in 5 out of the 7 final playoff races, the New Zealand team went on to a resounding success against the defender, recording an astonishing 8 wins out of 9 races.